Scindia vociferously raised the issue and said the matter was a breach of privilege and the Speaker Sumitra Mahajan should take cognizance of the same. 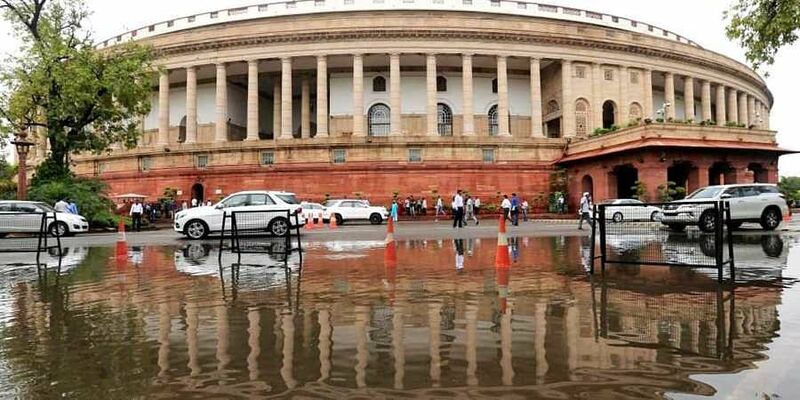 NEW DELHI: Union Road Transport Minister Nitin Gadkari on Thursday tendered apology to Congress MP Jyotiraditya Scindia in Lok Sabha after the lawmaker protested that he was not invited to an official function organised in Guna in Madhya Pradesh. The Minister maintained he has enquired into the matter and found the Congress MP's allegation true and thus he said he would tender 'apology' to the local MP as the function was organised by his ministry. The issue figured immediately after the Question Hour ended and the Guna MP Scindia vociferously raised the issue and said the matter was a breach of privilege and the Speaker Sumitra Mahajan should take cognizance of the same. Amid frequent exchange of words between Scindia, who was supported by his party colleague K C Venugopal, and BJP MPs including Ganesh Singh (Satna MP) also from Madhya Pradesh, the Rural Development Minister Narendra Singh Tomar said while it was wrong not to invite the Congress MP for the official function, it is also true during the Congress-led UPA rule hardly any BJP MP used to be invited. Meanwhile, even after Mr Gadkari tendered apology on behalf of his Ministry but the Congress MP, Scindia kept on sounding his displeasure at the episode. RD Minister Tomar also said, 'once the Union Road Transport Minister Mr Gadkari has tendered an apology, the matter should be treated as closed". At one moment, the Speaker said, "while I appreciate the fact that Mr Gadkari showed greatness in tendering apology, the conduct on the other side is not appreciable". "Yeh padatti nahi aye (This is not the way one should conduct himself)," Ms Mahajan said. The Congress floor leader Mallikarjun Kharge also demanded that the Speaker give a ruling that MPs should be invited for official functions. The Speaker responded saying, "While I know, the government has been instructing that MPs should be called for official functions in their constituencies, wherever this is not happening, the MPs should be invited".